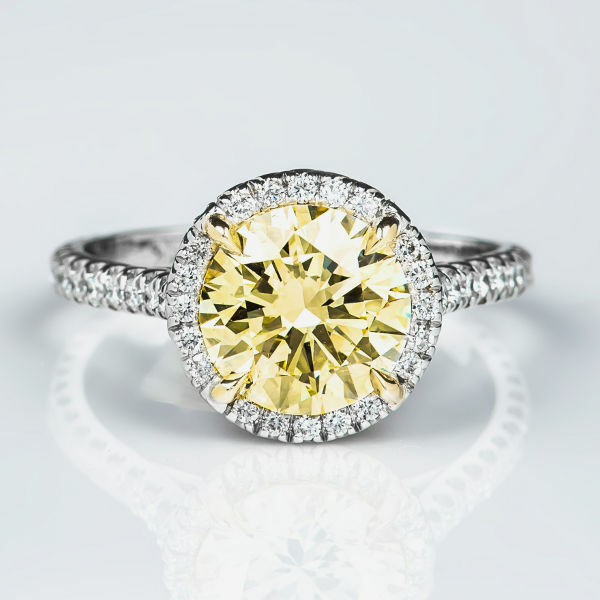 This is an extraordinary yellow diamond engagement ring made especially for those who seek combining the appearance of the classic round diamond engagement ring with the hard to find round yellow diamond. Center diamond is a 2.02 carat light yellow diamond whose natural color is enhanced by mounting it in a yellow gold cup within the platinum ring. The ring also features 78 H color diamonds weighing half a carat.